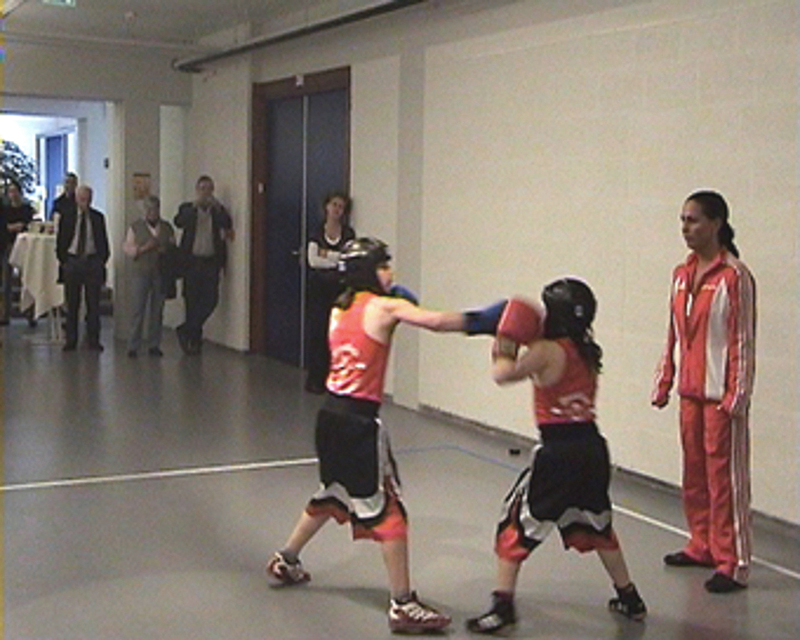 The performance project Girl boxing was realized during the exhibition Stylized acts (2008). 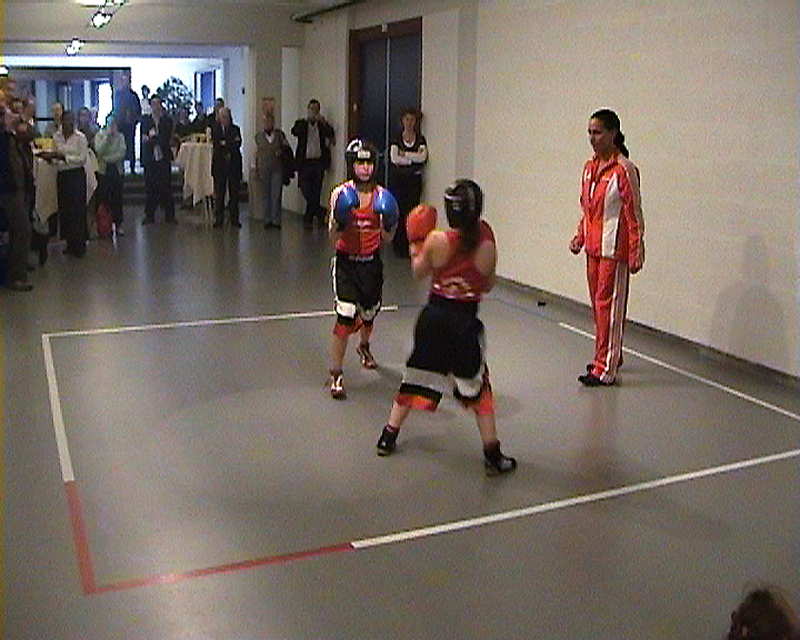 Martin gave the place to a group of 6 year old girls for her warming up training followed by a sparring match at the opening of the Exhibition. 'Women’s boxing has never been an easy sell. The first female boxer dates back to 1722, when Elizabeth Wilkinson challenged Hannah Hyfield to a bout through an ad she placed in the London Journal: “I, Elizabeth Wilkinson, of Clerkenwell, having had some words with Hannah Hyfield, and requiring Satisfaction, do invite her to meet me on the Stage and Box me.” It was around the same time that men’s boxing was being promoted as a barroom spectacle. For six years, Hyfield fought both men and women professionally, wearing “close jackets, short petticoats, coming just below the knee, Holland drawers, white stockings and pumps,” according to the same newspaper advertisements. In the late 1800s, Nell Saunders and Rose Harland fought the first women’s boxing match in the United States; the prize was a silver butter dish. Twenty-five years later, in 1904, boxing made its debut as an Olympic sport in St. Louis — men’s boxing was admitted as a competitive sport, but women’s boxing was limited to exhibition bouts. 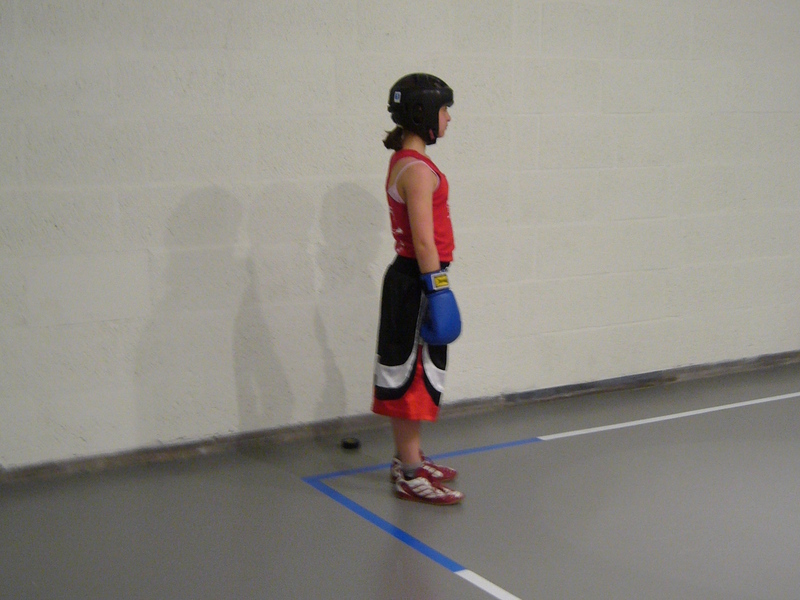 By the late 1970s and into the early ’80s, women’s boxing was resurrected.